If you care about things like privacy at all, we’re living in a nightmare already and things keep getting worse. What I have blogged about in this series of posts so far is not really solving any problem. It’s just a first step to take back your network. Have you built your own router, too, or are you planning to do so? Just assembling it and installing a firewall OS on it won’t do the trick. As a next step you have to learn the basics of networking and firewalling so you can configure your box according to your needs. And even then you have just put your own router behind the modem/router box from your ISP and not replaced that. I’d like to go further and get my own modem, too. But that step requires a lot more reading before I will even attempt to do it. However this article is about doing a more advanced OPNsense installation that leaves room for customizing things. Let’s get to it! In the installer select “manual installation” obviously. This will lead you through a couple of dialog windows that let you customize your partitioning etc. OPNsense Installer: Format the disk? It seems like OPNsense can be installed on an existing filesystem. There might be people who would want that feature but I don’t. I definitely prefer to start fresh as a newly installed OS should be in a clean state in my opinion. 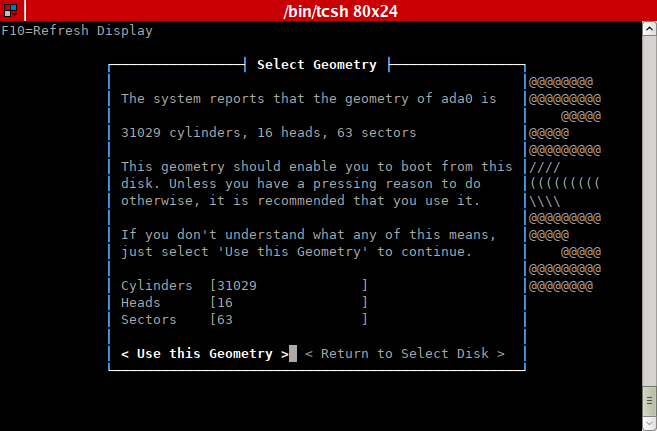 The installer then gives you the option to change the disk geometry. You almost certainly don’t want to do this. If you do need to, you have a strange disk, are aware of its quirks and know geometry matters good enough that you definitely don’t need my advice on it. 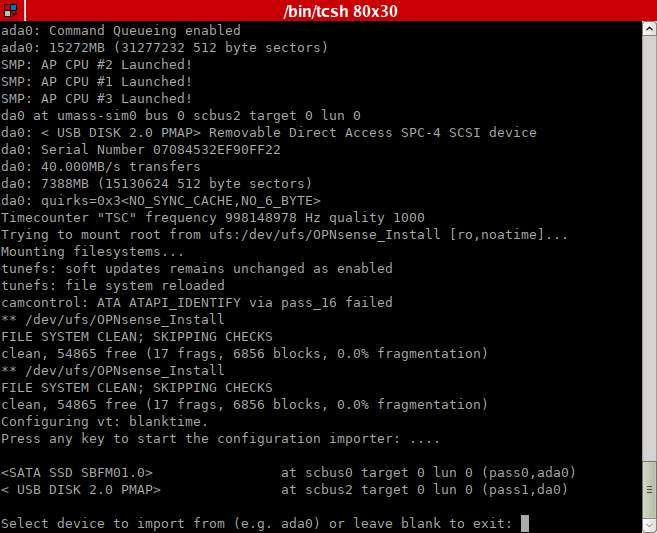 Next you are asked if you want to slice (OPNsense uses the term “partition” to describe MBR partitions which is fine since that’s what non-BSD people usually call it). I don’t expect to be dual-booting my box or anything, so I could go with just one slice. However I might install and try out some other versions (or take a look at pfSense again when 2.4 is officially out or even something like OpenWRT, just to take a look at it). For that reason I create two slices so I can keep my OS on one and my data on the other. I created a FreeBSD slice and one of type Plan9. No, I’m not going to put Plan9 on there. It will be erased and re-purposed anyway. But the installer has this option and Plan9 is cool. 3 GB for OPNsense should be enough and I give the rest to the future data slice. For the advanced installation we’re unfortunately stuck with installing on the MBR partitioning scheme. That means (for compatibility’s sake) the system enforces the old CHS (Cylinder, Head, Sector) addressing limitations which are almost completely irrelevant today, but meh. The most annoying consequence of this is that “partitions have to end on a cylinder boundary”. If you don’t know what that means: It’s related to the physical geometry of spinning drives that has been of high importance in the olde days(tm) and still haunt us today because operating systems are used to work with it (even though geometry parameters have been lies and lies for decades now and SSDs don’t have spinning parts but claim to have them to make the OS happy…). To comply with this, choose to grow or shrink your slice by a couple of sectors. 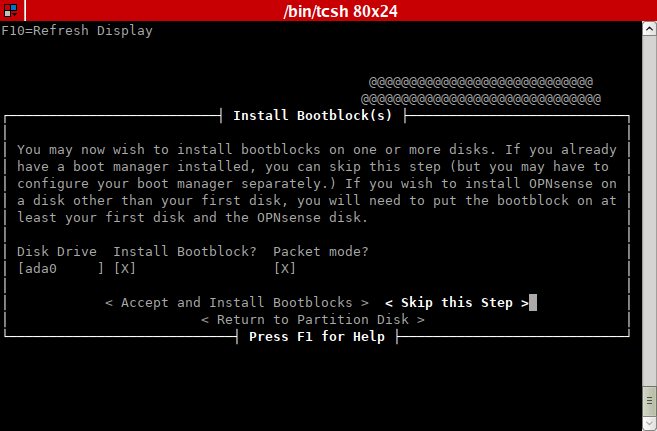 If you want to dual-boot (or multi-boot) your box, make sure to install a boot manager now. I don’t anticipate to install more than one OS on it at the same time and so I skip this. Oh, and please don’t ask me what “packet mode” is! I tried to research it, but all that I found boils down to “if you have problems, try with/without it”. I couldn’t really find anything about what that actually does (at least not in a reasonable amount of time). If you know: Please leave me a comment! Next is selecting which slice to install to. Why, the FreeBSD one, of course! Finally the slice needs to be partitioned (or sub-partitioned if you regard the slices as “partitions”!). 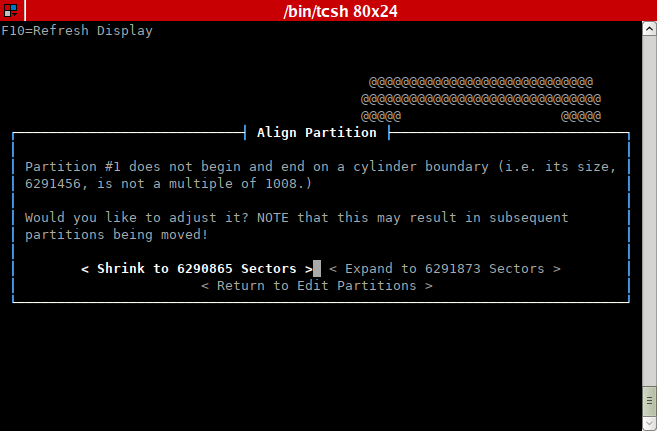 This means that BSD disklabels are created inside the MBR slice to allow for multiple partitions. 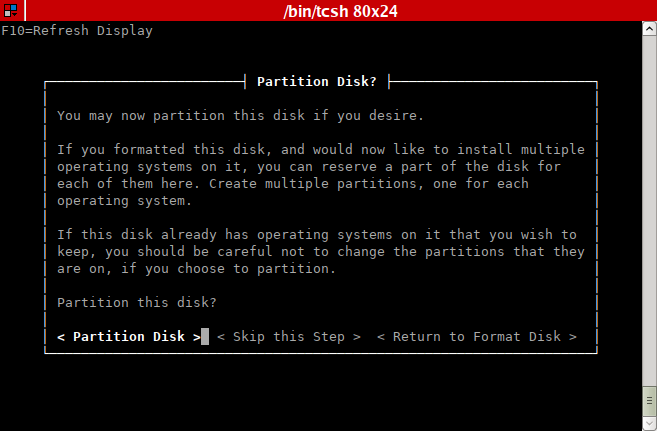 For the setup that I have in mind, two partitions suffice: One for / and the other for SWAP space. For whatever reason the installer does not directly allow to assign SWAP, so I allocate 2 GB for the root partition and the rest to a second partition that has no mountpoint. That’s it, the installation can start now. Once the installation is complete, follow the steps that I wrote about in the article about the simple installation. 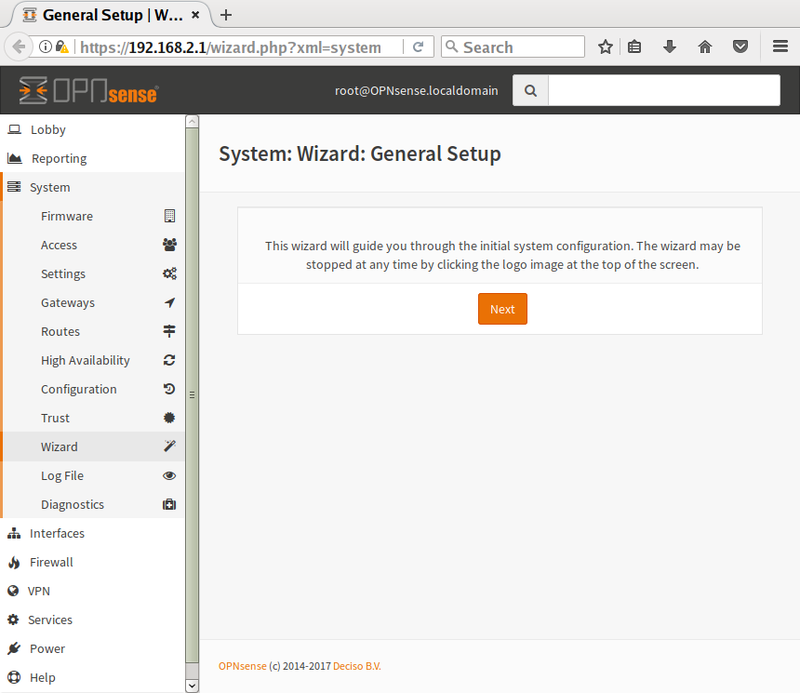 Got the interfaces assigned and the setup wizard run? Good. 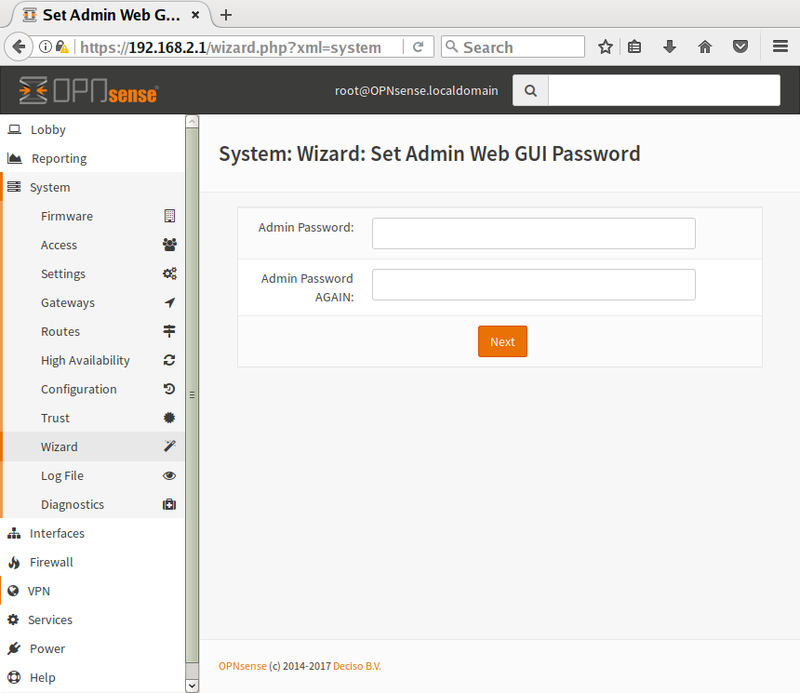 OPNsense can be administered purely through the Web GUI. Howver if you’re like me, you really prefer some means of direct console access. Sure, we have that over the serial console. While that’s fine for the installation, it’s a bit cumbersome for daily use. Fortunately there’s a better way: Let’s just enable SSH access! First stop: Creating a user (you wouldn’t want to SSH in as root, do you? Do you?! Do this on a production machine like never). One thing is important here: Make your new user part of the “admin” group or else it won’t be terribly useful to you. Also use SSH keys instead of passwords. If you haven’t ever used keys, set a couple of minutes aside to do a little reading about what they are. They are much more secure than passwords and you definitely want to use them even if you don’t know that just yet (I recommend the article on SSH keys over at the Arch Linux wiki. Unless you’re using the original OpenBSD OpenSSH, we’re all using the same version of OpenSSH-portable anyway). You must also check the “use scrambled password” checkbox because OPNsense won’t let you get away with an empty password. Then OpenSSH needs to be activated. If – for whatever reason – you cannot use keys, you have to enable the “permit password login” option. Try to avoid that, though. And don’t check the “permit root user login” however convenient it might be! 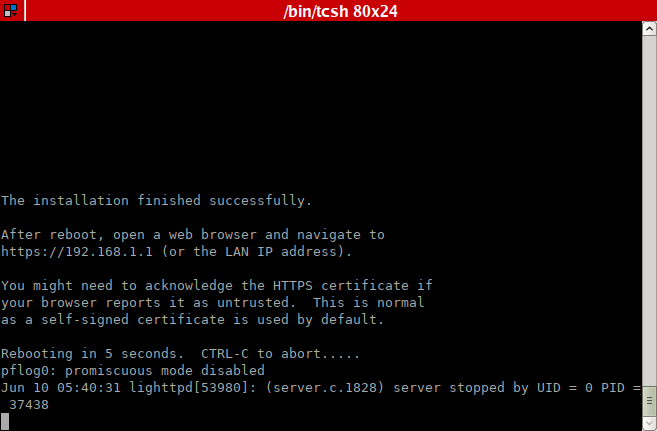 That’s it, you can now log into your box using SSH. Use su – and the root PW to become root. 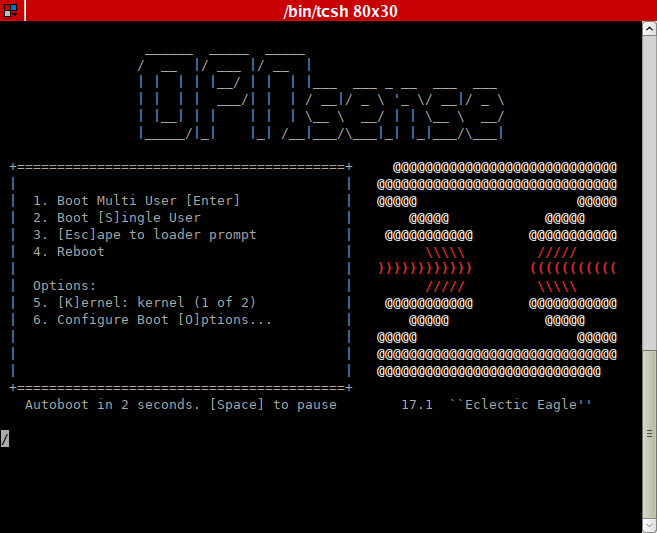 OPNsense will then display the nice menu that you already know from connecting via serial. Right now we have a lot of disk space wasted and there’s other things wrong, too. So after the installation there’s some more work to do, some packages to install, filesystems to create, etc. I originally intended to stuff more into this post but it’s certainly long enough already. See you in part 8, the last part of the series! Part 1 of this article series was about why you want to build your own router, and how to assemble the APU2 that I chose as the hardware to build it from. Part 2 gave some Unix history and explained what a serial console is. Part 3 demonstrated serial access to the APU and showed how to update its firmware. Part 4 detailed installing pfSense, while the previous one did the same with OPNsense. I want to point out one thing right at the beginning: Both products are good firewall solutions with a heck of a lot of extras. If you have the same goal as I have (building a home router), either will do absolutely fine. That does of course not mean that your choice doesn’t matter at all. You can definitely benefit from thinking about it before making a decision. But even making the “wrong” decision doesn’t mean that it will be horribly wrong. There are a couple of differences and maybe they are important to you. But chances are that both products would completely satisfy your needs. Sometimes it’s helpful to ask the old question: “Where do we come from?” While this question is usually a philosophical one, in our case it helps to shed some light on our topic. If you do a little reading on the net, you will soon find that pfSense and OPNsense do not like each other much. In fact it’s probably safe to state that they are more or less hostile to each other. 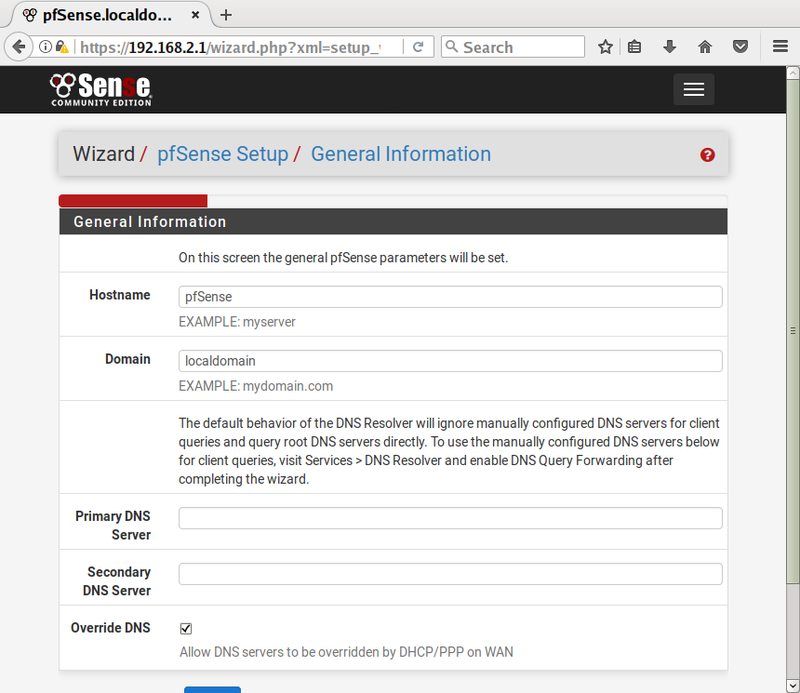 OPNsense is a fork of pfSense. Obviously not a friendly fork. Some pfSense enthusiasts have been spreading information about OPNsense which suggests that new team has no idea what they are doing. They are said to frequently break important things and that the whole project is actually quite laughable. Or to put it short: You really should not waste your time with it and stick to the original. Having liked pfSense for years, I would have believed that, even though you should listen to the other side, too, before doing so. But listening to both sides takes time and effort – both of which were rather limited when I briefly looked into the whole clamor in mid 2015. Eventually it was the plain hatred of one person who appeared to really have no life, that made me look at what the other project would say. This strange guy popped up in every single pfSense vs. OPNsense discussion and threw so much dirt at OPNsense that I could not help but pity that person. 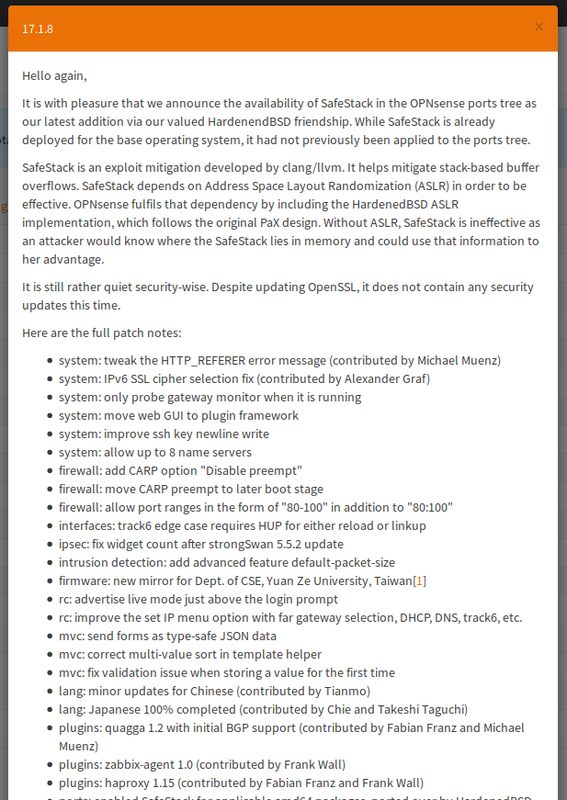 The fact that pfSense (despite obviously being completely dependent on pf, a technology that came from OpenBSD) has a rather bad name with a lot of OpenBSD people for behaving poorly in the past, didn’t help to regain my faith in it, either. According to OPNsense, they were not happy with the code-quality of pfSense. They didn’t like the fact that the whole Web GUI ran as root (ouch!) and wanted to do privilege separation (which is actively work in progress as I was told). Also there were licensing issues when Netgate acquired pfSense and a bunch of other things. Deciso, a company based in the Netherlands, had been a sponsor of pfSense for years but felt that the whole project was going in the wrong direction after Netgate took a couple of actions. So they decided to fund a fork instead. Who is right? There’s probably some truth to both versions. OPNsense has followed a rapid development style, bringing in lots of new features and even making some rather drastic changes. It’s true that especially in the beginning there were some problems due to that. But it’s also true that they were quick to react to those. One thing that is not true (or at least not the whole truth, if you will) is that pfSense is the original and OPNsense is a cheap rip-off! What’s the whole truth then? As you can see, OPNsense did a lot to provide the user a much more modern GUI. 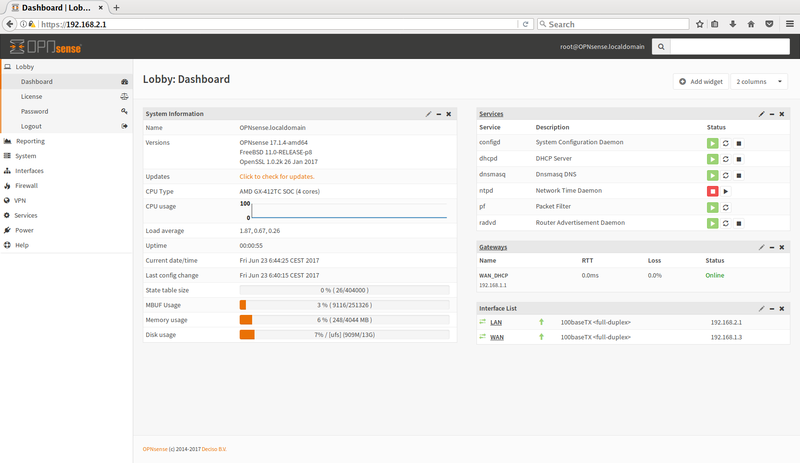 Both dashboards are customizable but it’s hard to argue that OPNsense’s is not superior. 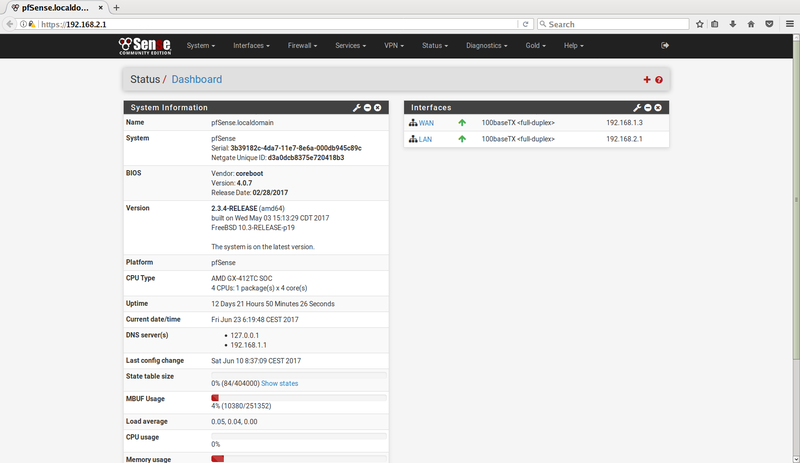 But to be fair: pfSense is working on a GUI overhaul as well. 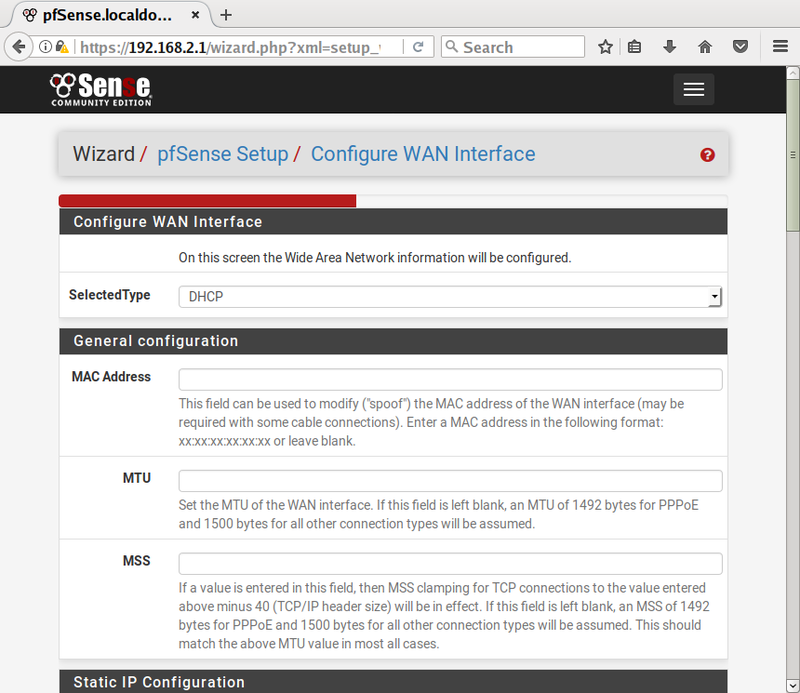 While pfSense uses pull-down menus at the top, OPNsense has a navigation bar to the left. As you can see, both have not that much in common. This is because OPNsense did not only redesign the GUI but also re-arranged which options go where. I find the new arrangement more logical (e.g. with pfSense logout is in “System” but halt is in “Diagnostics”). But that’s definitely a matter of taste. This time there seems to be quite a bit more consensus about what counts as a service. But still OPNsense looks more like a cleaned up version. There’s no direct equivalent with OPNsense. In the “Service” menu above you can see that there is a “Diagnostics” entry. The same goes for “System”, “Interfaces”, “Firewall”, etc. This is where it shows that both products do have a lot in common: What we can see here is basically the same thing. Again OPNsense simply has the more modern interface. No surprise here: It’s all very similar just with interface improvements on OPNsense’s side. So far it’s mostly a matter of taste. But now on to the technical points. This is where OPNsense shines (which is no wonder since it’s developing a lot faster). For example OPNsense is already based on FreeBSD 11.0 whereas pfSense is 10.3-based. 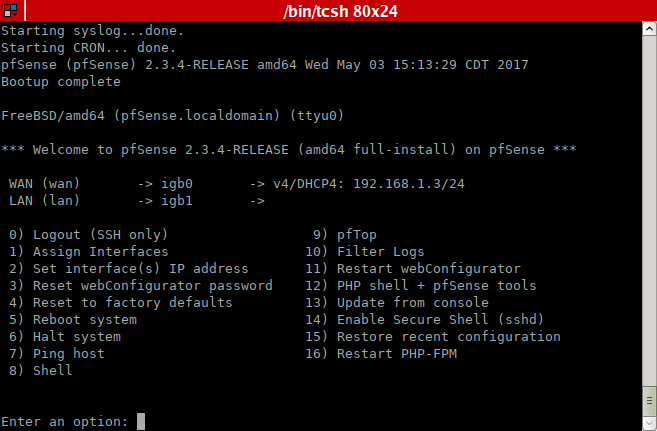 However there’s already beta versions for the upcoming pfSense 2.4 which are also based on 11.0 and feature many more improvements. One major difference between the two is that pfSense heavily customized FreeBSD while OPNsense believes in the opposite and tries to be as close to mainline FreeBSD, just adding packages on the top of it. I like that approach better but again that’s probably a matter of taste as well. The most important thing for me is that OPNsense entered into a partnership with the HardenedBSD project. This resulted in OPNsense being able to change the crypto framework used! For me this is the one killer feature. Give me the option to rip out OpenSSL and use LibreSSL instead and I’m sold! However that’s not even all, yet. If you ask me, hardening your router (especially if it should happen to be promoted to be your border router eventually) makes a lot of sense. There would be much more to write here, but if you’re interested in that, you will probably have to read some of the recent change notes yourself. 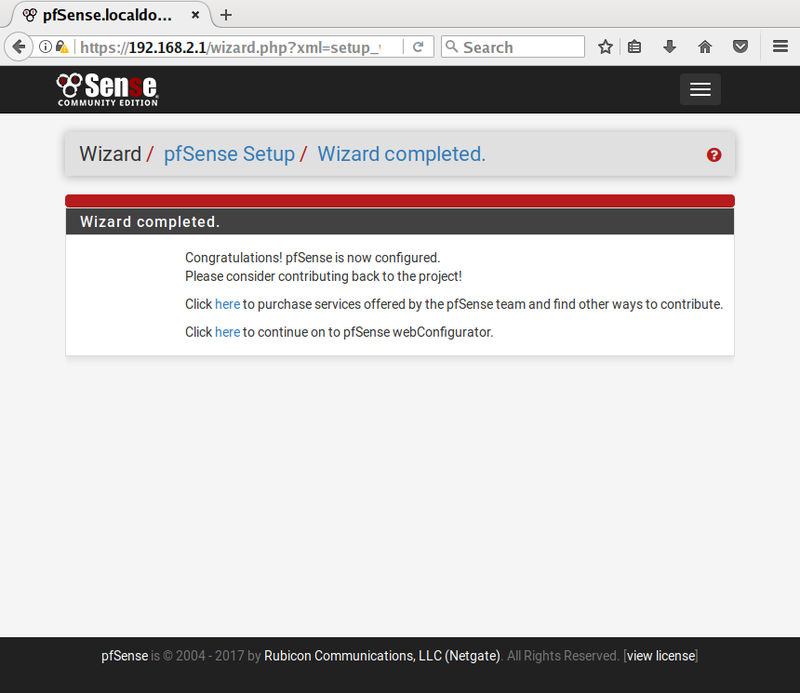 OPNsense and pfSense are quite similar in their core functionality. When should you choose which one? Have a look at the pros and cons of each one and decide for yourself! The next article of this series will give an example of an advanced install of OPNsense that lets you use the APU for more than just a router! Part 1 of this article series was about why you want to build your own router, and how to assemble the APU2 that I chose as the hardware to build this on. Part 2 gave some Unix history and explained what a serial console is. Part 3 demonstrated serial access to the APU and showed how to update its firmware. The previous article detailed installing pfSense. Well, the board does have an internal USB2 controller, too. Therefore I suggest getting a cable that allows connecting USB devices to it. If this is not for you, take a look at the end of the post, I’ve prepared a section “alternative installation methods” there. First download an image (select amd64 + serial). Then dd it onto an unused memstick and prepare the serial connection (take a look at the previous posts if you need help with dd’ing or attaching the serial console). As you can see, I’ve attached a memstick with OPNsense via USB2 and made a serial connection. That way the installation works just fine. Hit F10 to go to the boot menu as soon as SeaBIOS offers it. Since we’ve attached the memstick over USB2, the internal drive would take precedence over it in the default boot order. So in this case I have to select 2 to boot off of the memstick. The OPNsense boot loader looks fine. If you’re installing 17.1 using USB2 you don’t need to do anything here. One notable difference from pfSense is the early configuration importer. If you have a saved configuration XML file, you can put e.g. a UFS2 filesystem on a memstick, create a directory conf on it and copy config.xml there. That makes it available in the importer. 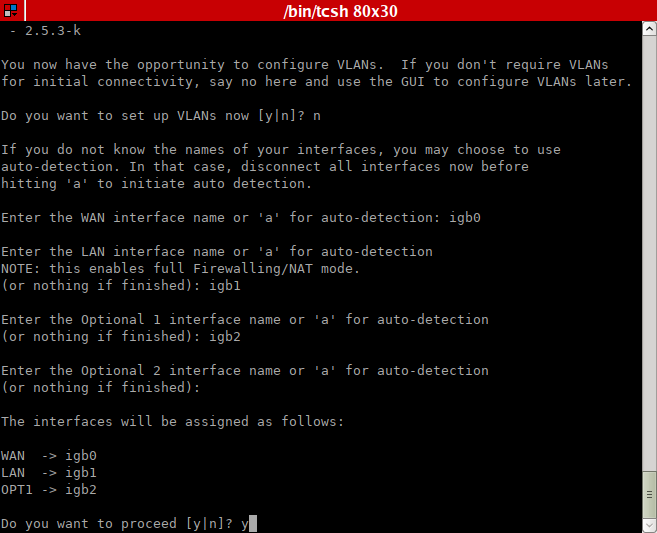 Then you have the option to assign roles to your interfaces (like WAN and LAN). 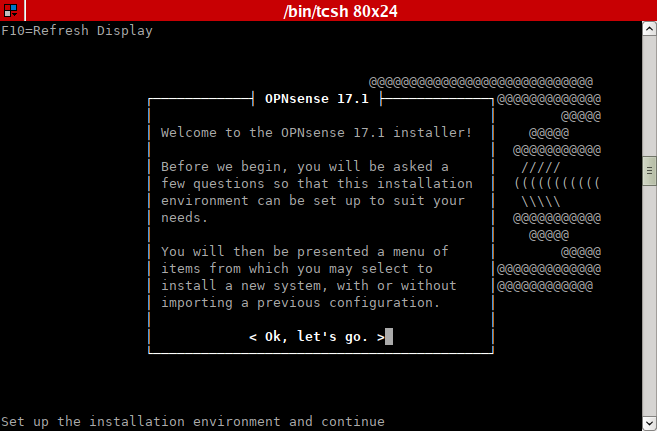 OPNsense gives you the choice to start the installer or to use a live system. Log in as user installer to perform an installation or as root in the other case. The password for both users is opnsense. 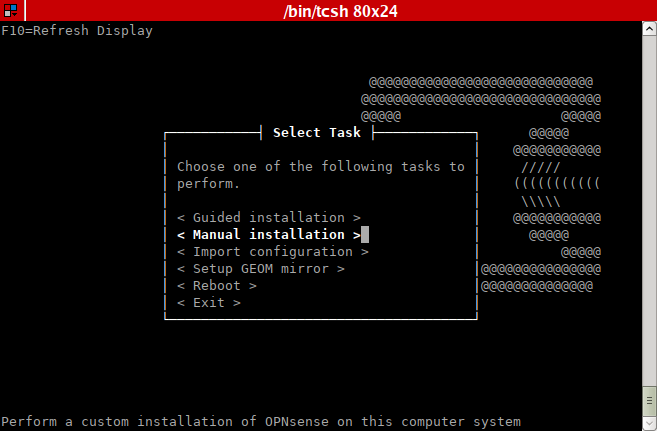 The OPNsense installer is black and white only when using the console. But that’s fine. The installer greets you with the welcome message. The next screen lets you customize the console. You probably don’t need to do that. Then you need to select the installation type. You could do advanced partitioning here or setup a softraid (gmirror). We’re going with the simple installation for this post. Now you need to choose where to install to. The mSATA drive is ada0 whereas the memstick is da0. OPNsense also lets you choose which partition scheme to use. In case of our router this is not terribly important, especially not with our sample installation that puts everything in one partition. But since stone age is over, you might as well choose GPT anyway. Once the installation is finished, you of course want to reboot to your new system. 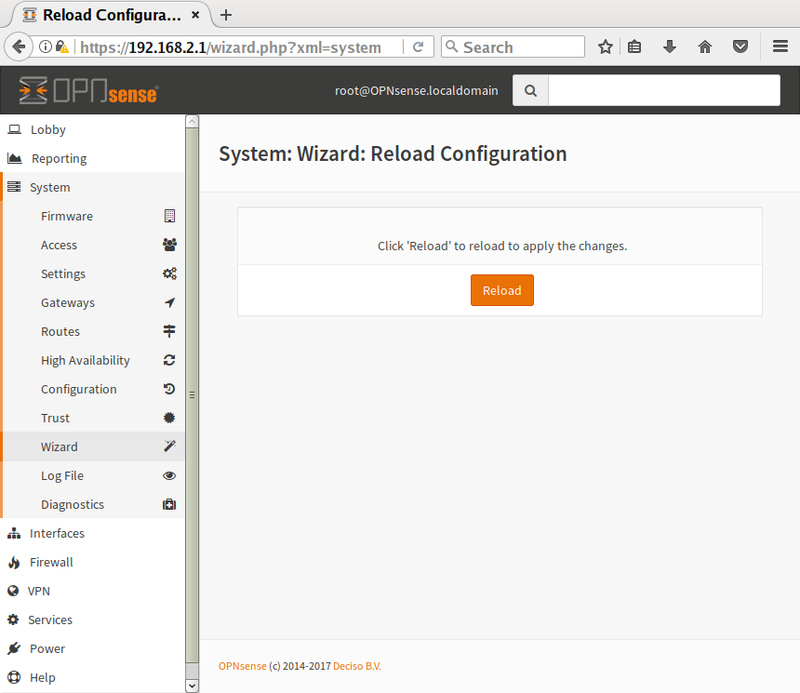 Before rebooting, OPNsense tells you how to access the Web GUI. However the IP address that it uses by default is already taken by my ISP’s modem/router box. We’re going to change that next. When the system has started up, you are prompted to log in. 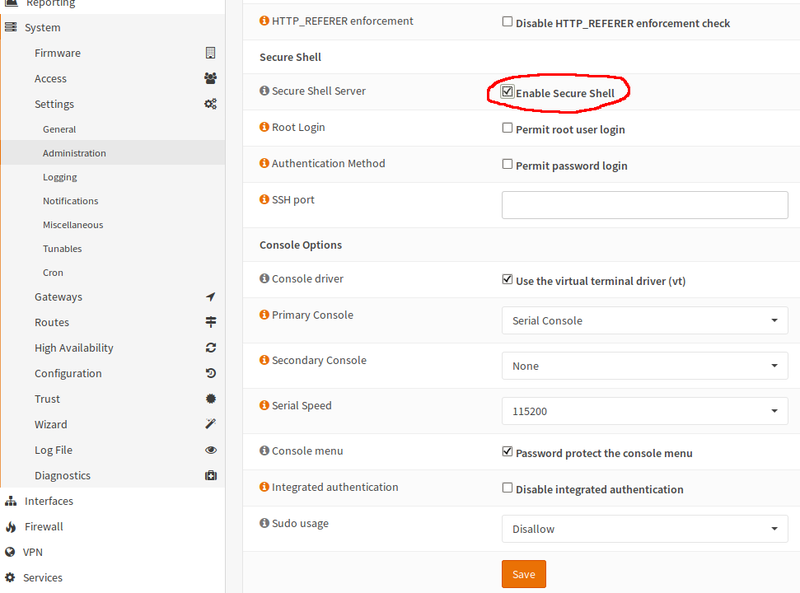 This is the default behavior which can be changed to allow unprotected login over the console like with pfSense. But in general I like that bit of extra security. The text-mode configuration menu looks much like that of pfSense. And the interface configuration works right the same. As does the DHCP configuration. 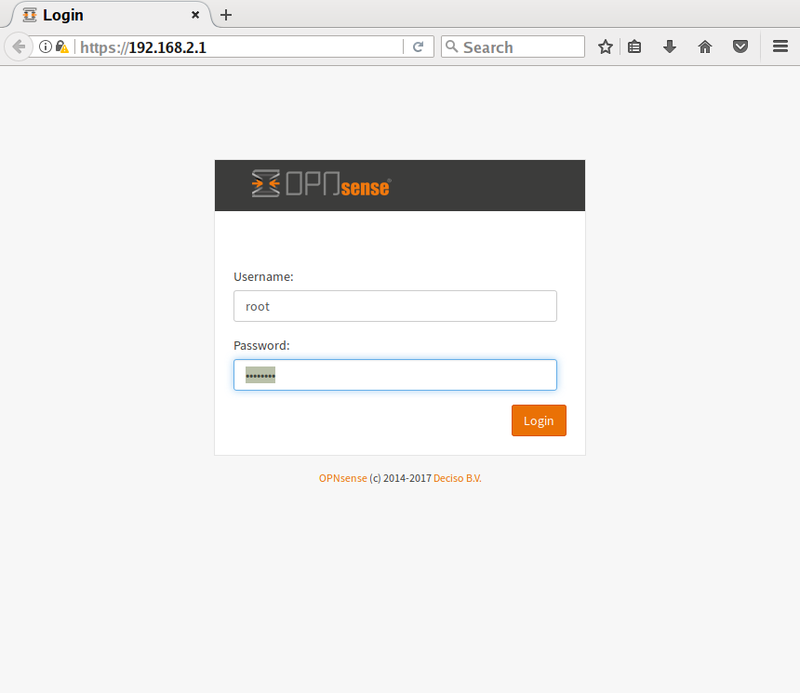 Since OPNsense required a login, you can also log out when you’re done. Now disconnect the serial console – we’re done with it. 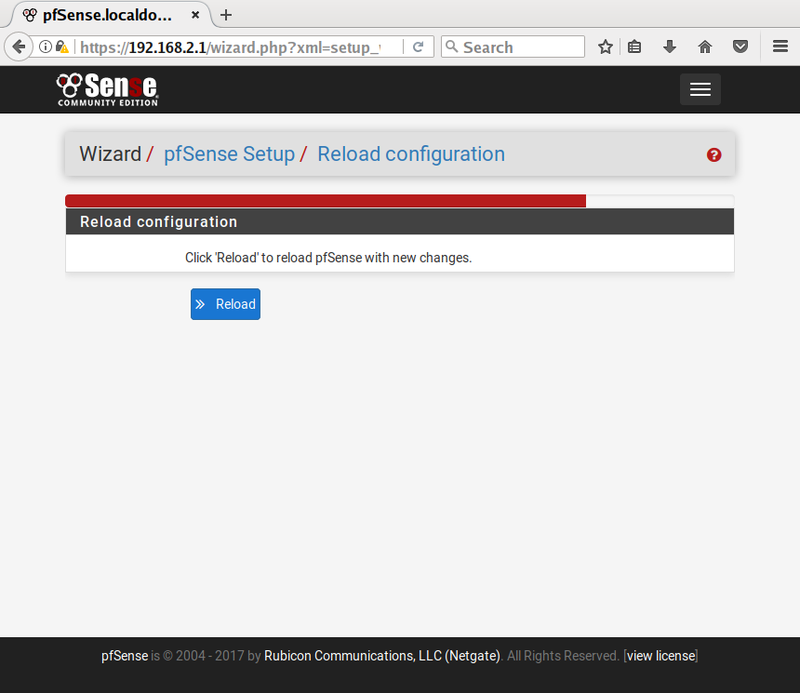 Just like pfSense, OPNsense offers a nice Web GUI to configure all the settings. Fire up your browser on a PC that is in the same subnet (or got its IP address via DHCP from the new router) and enter the router’s LAN IP address in the URL bar. OPNsense uses https to create a secure connection, too. 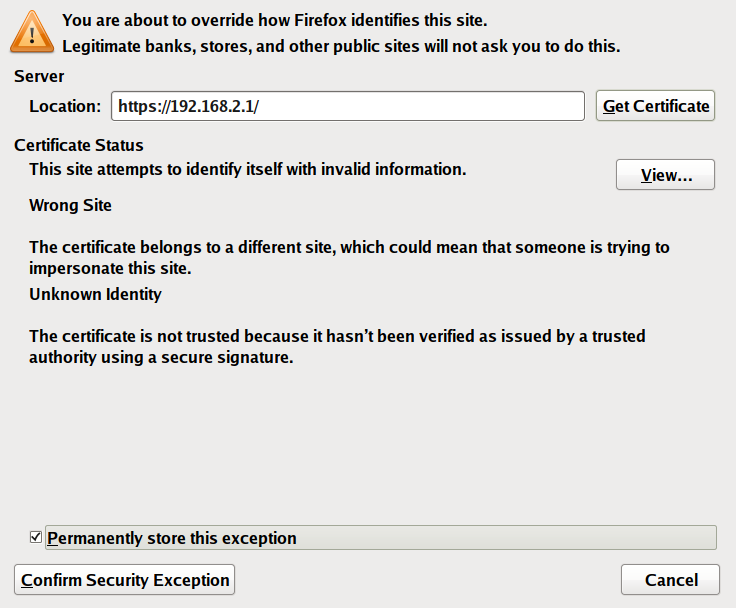 Of course a self-signed certificate is used which is not trusted by my Firefox. Therefore a permanent exception needs to be made. Once you have confirmed the exception, you will see the login screen. 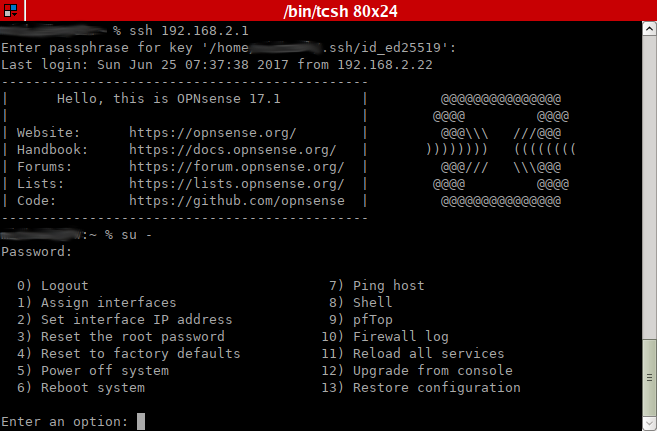 Log in as root with the password opnsense. On the first login you will be greeted by the configuration wizard. It will present you about the same choices as pfSense does (without the advertizing of the commercial version, of course). First it’s some general information like hostname and DNS. 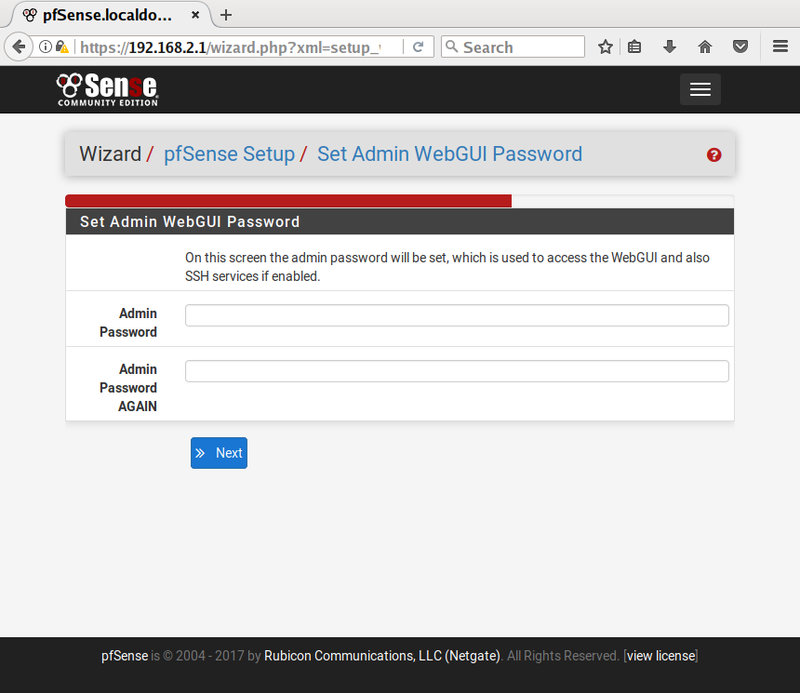 What OPNsense offers over pfSense is i18n options: Chances are that you can configure the Web GUI to speak your language! That’s pretty nice. 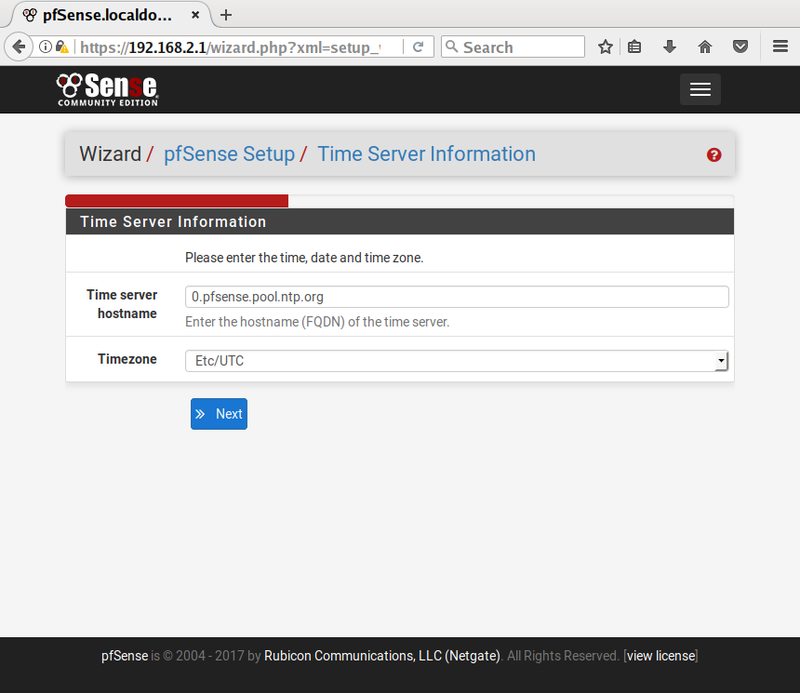 Time server settings are just like those from pfSense. WAN configuration offers you a lot of options. Take a close look at those. Fortunately you very likely don’t need most of what is there. Same thing for the LAN configuration: You know that from pfSense. Also with the password changing part there’s no surprise here. All done. Reload the config! That’s it. Reload the config now and you’re done with the wizard. 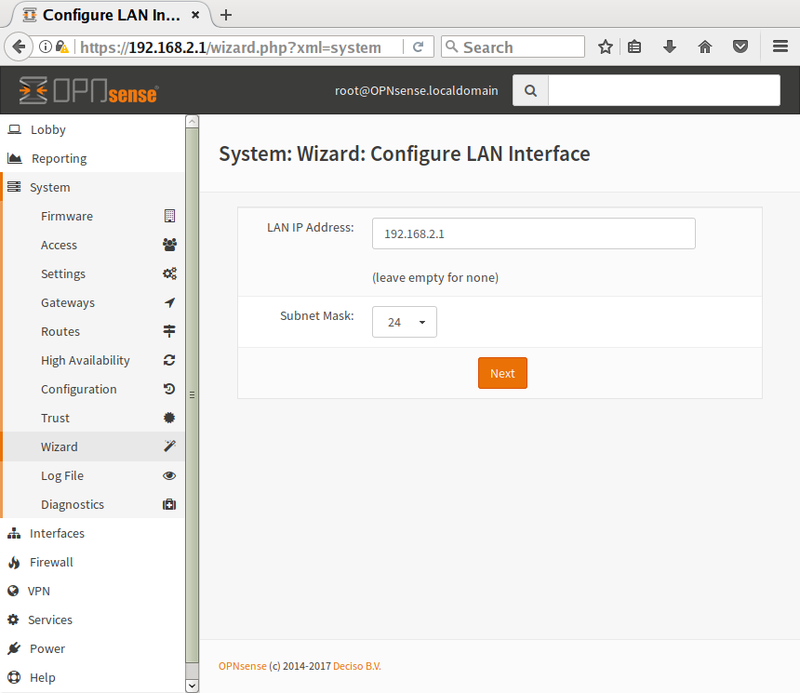 OPNsense now has a basic configuration and is ready to be used. OK, you don’t have a cable to connect to the USB2 pins but you want OPNsense? There are several things that you can try. I’ve documented my attempts (including several solutions) on the OPNsense forums in case anybody needs them. That did the trick and made the system boot up for me. The actual installation is quite similar to what I covered above. This will work, too. But there’s one little problem with that: The TTYs are configured on their own using a configuration file – and they are not ready for serial connection! Since this is a CD, we cannot really do much about that. What we can do, however, is using the configuration importer. 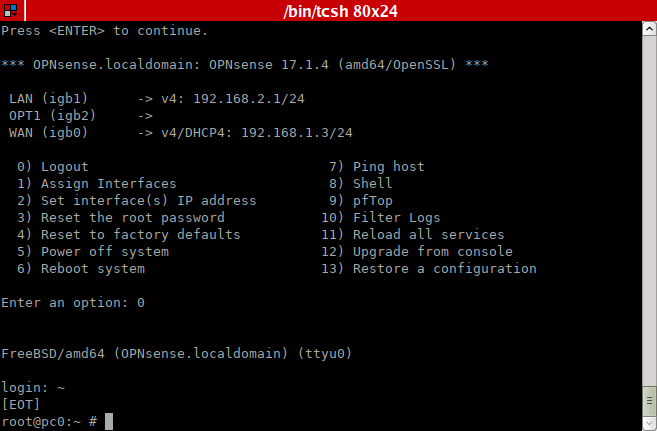 I will upload a basic configuration xml and add it to this post when I next install a clean OPNsense. The next post will be pfSense vs. OPNsense! It will discuss some of the notable differences and when to use which one. We’re just doing the installation here. 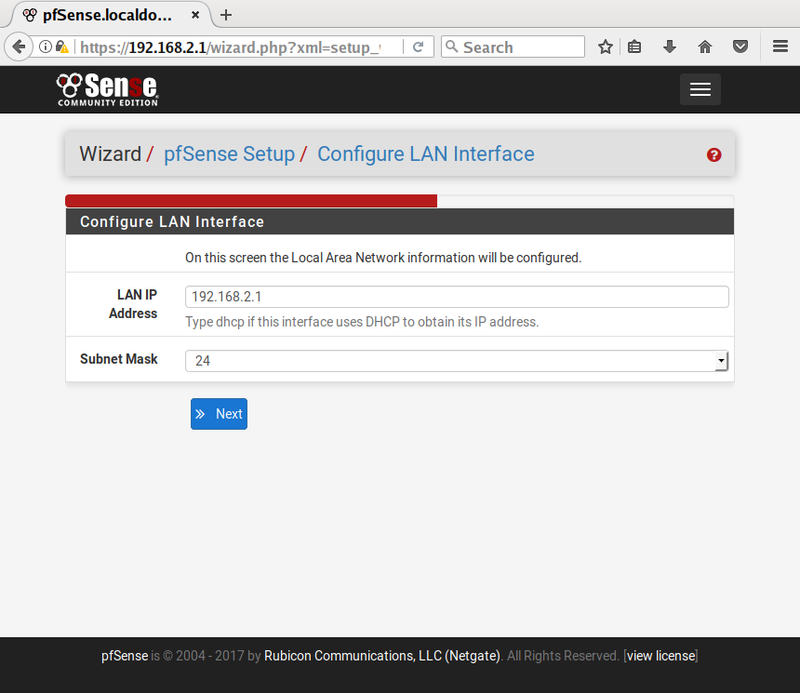 A closer look at using pfSense or a comparison with OPNsense will be another post. 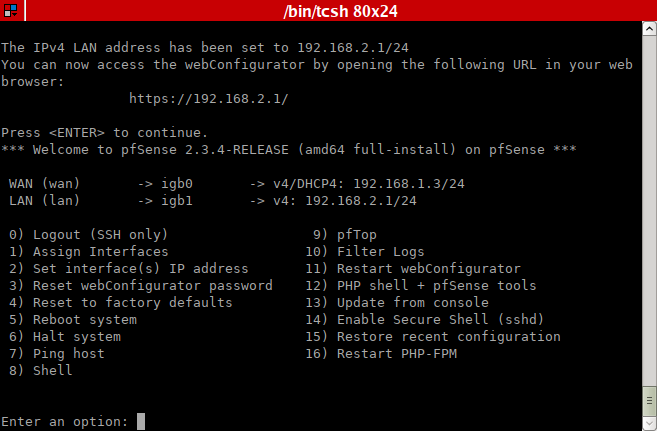 Getting pfSense up and running is really easy, even when you’re using the serial console. The first step is the actual installation. In a second step you need to configure the LAN interface and then you can use the WebGUI to do the final setup. The first thing to do, however, is getting preparing an installation medium. 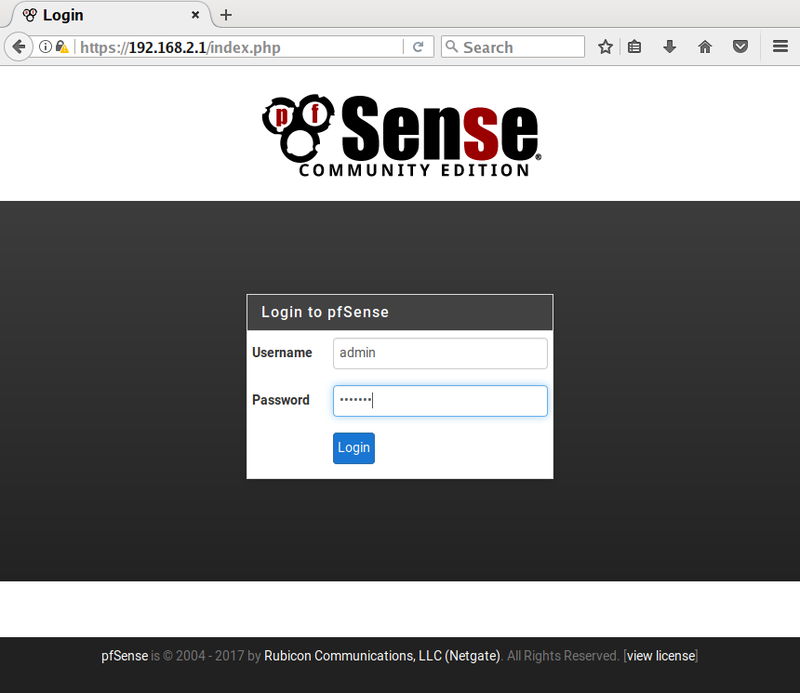 Head over to pfSense’s Download site. What you want is an install image for amd64. 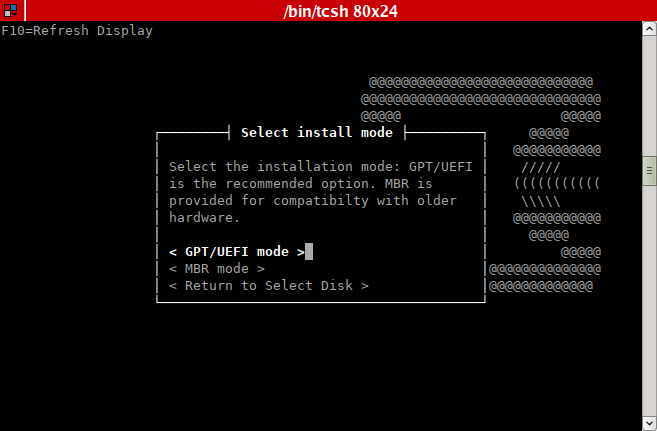 Then select USB Memstick Installer which let’s you choose the console type – obviously get the serial one! Then get a USB stick that you can spare and dd the image on it. Once you have that ready, plug it into the APU. Next attach the serial cable to your APU and to another computer. Then connect to the console (how to do that was described in the previous post). Now power on the APU. Even if there’s already an OS installed on your mSATA drive, the memstick should take precedence when it comes to boot order. So you can probably just wait until the installer comes up. Don’t be scared when you see garbage displayed on the screen. This is just the bootloader that’s screwed up badly when used over a serial connection (they’ve already fixed that in the beta version for the upcoming pfSense 2.4). Either just wait 10 seconds for it to boot automatically or press enter to boot right now (if you need any other options, you might want to get an ISO for pfSense, too, and test it in a VM or get a VGA image, put that on a stick and try it out on hardware that provides a local console over a screen and keyboard). As you can see, it’s only the loader. 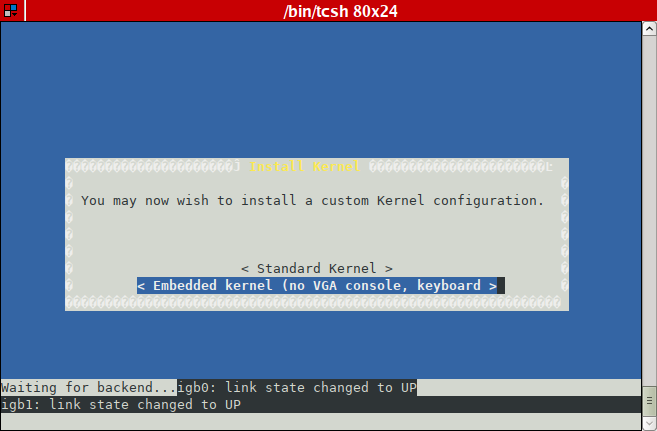 As soon as the kernel takes over, the text is displayed correctly. That means you can actually read the messages in case anything goes wrong here. If you don’t do anything, the installer will eventually come up automatically. 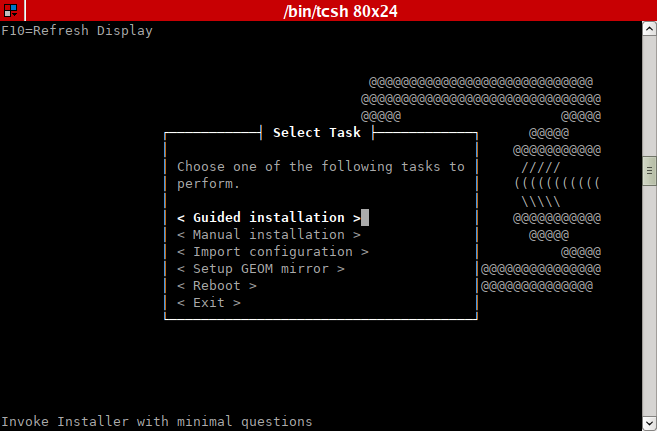 In the first screen of the installer you can configure the console. Most likely the defaults will be fine, though. Then you need to choose the installation method. We will do a quick installation but you could also do a custom installation or setup gmirror (mirrored software RAID). Since installing pfSense means destroying any data that might currently be on the drive, the installer warns you that it will erase it. If you confirmed the warning, the actual installation starts (but the progress meter is kind of useless as it seems… It remained at 5% for a while and then jumped to 100% for me). The next thing to do is to select the right kernel. Since our APU2 is a headless device, make sure that you select the embedded kernel! Otherwise you won’t be able to use the serial console with it. 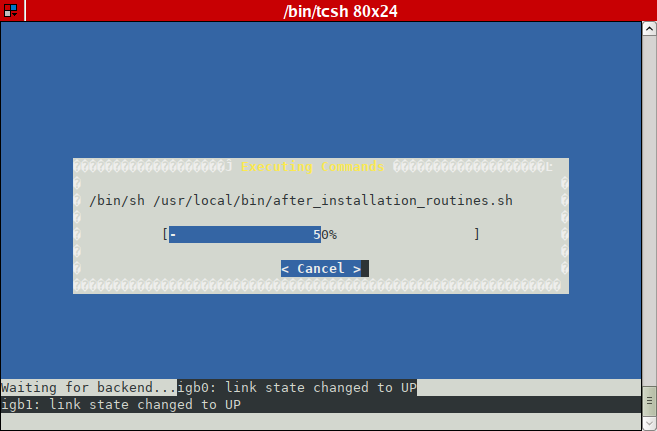 After the kernel is installed, the installer runs a script to do some final tasks. When all is done, it’s time to reboot the system. 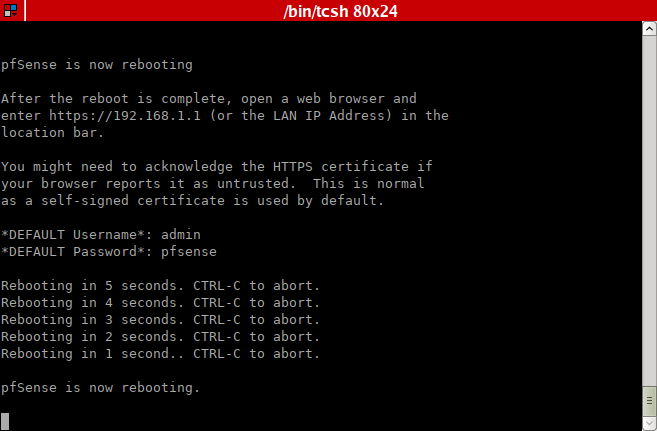 Just before it reboots, pfSense prints some important information on the screen, telling how to log into the WebGUI. Remove the memstick now or the APU will boot off of it once more an you’ll just see the installer again. The OS has been successfully installed, but leave your serial console attached for now. I’m assigning 192.168.2.1 since my modem/router (yes, I’m not replacing it just yet and will operate the new router between that box and my actual network for now) has already taken 192.168.1.1. It’s not like I need a full /24 subnet for my network, but I go with that subnet mask for now. 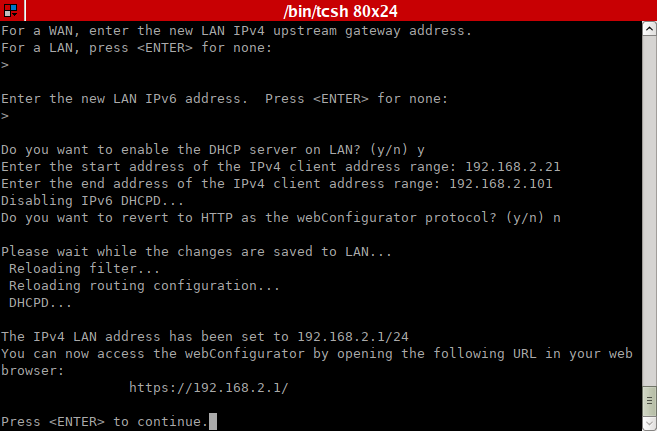 Since I intend to use DHCP for my network, I enable a DHCP server for the LAN interface. 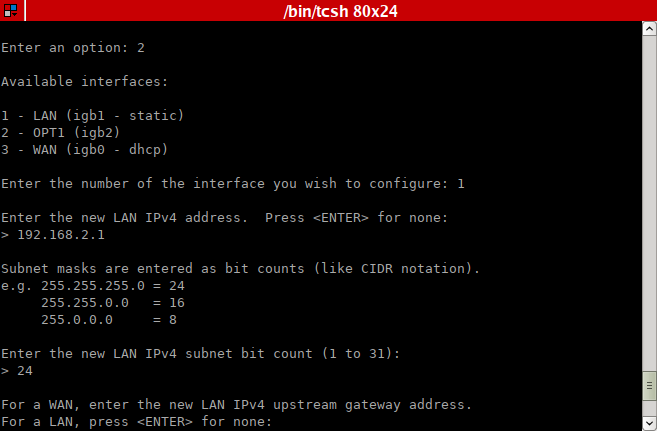 The range of DHCP addresses that I use here is just an example for this test installation. I will cut it down to about 10 when I do my final setup. The reserved addresses before the DHCP range serve a purpose, though – more on that in a separate future post. As soon as everything is ready, you can now end the serial connection and remove the cable. 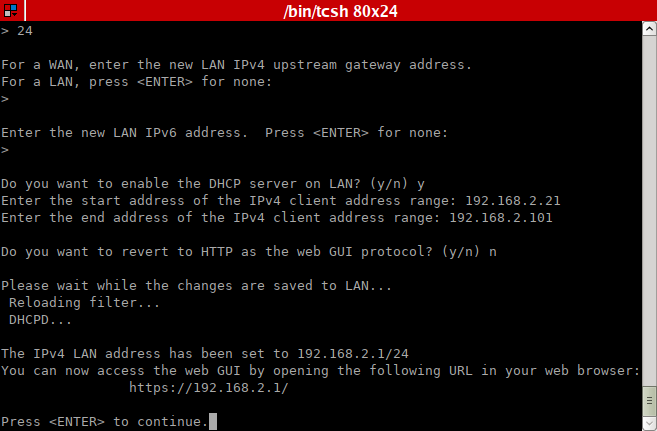 We have a valid IP address on the LAN interface now after all. So now we can access the WebGUI simply by entering the IP address in the URL bar of any browser. Of course the computer that runs the browser have an IP address that is on the same subnet. So you might want to change your address if that is not the case – or fire up the dhclient, it should get an address in the range that you specified (or simply reboot if your computer is configured for DHCP). It’s a good thing that pfSense uses TLS so you can access the router securely via https. 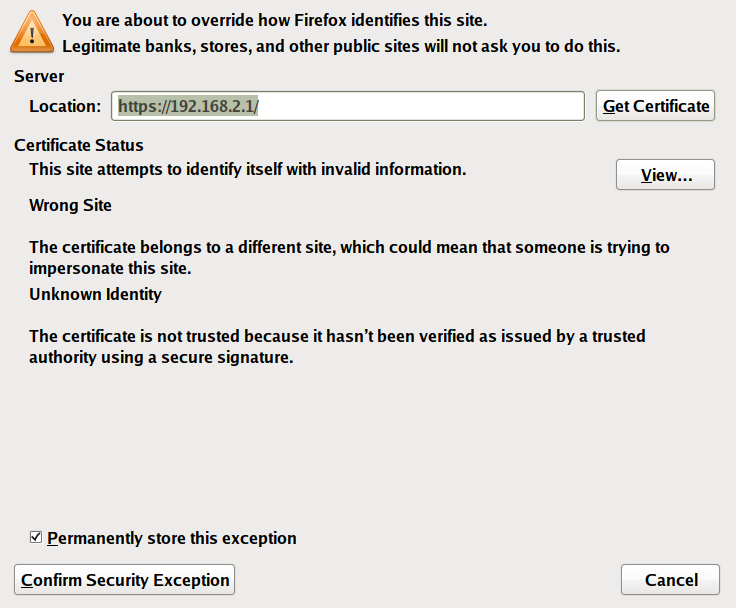 However the certificate it uses is self-signed and thus unknown to your browser which will display a warning. That doesn’t mean that it’s useless. In our case it’s just necessary to create an exception to accept that cert permanently. You’ll then see the login screen. Use the username admin and the password pfsense to log in. 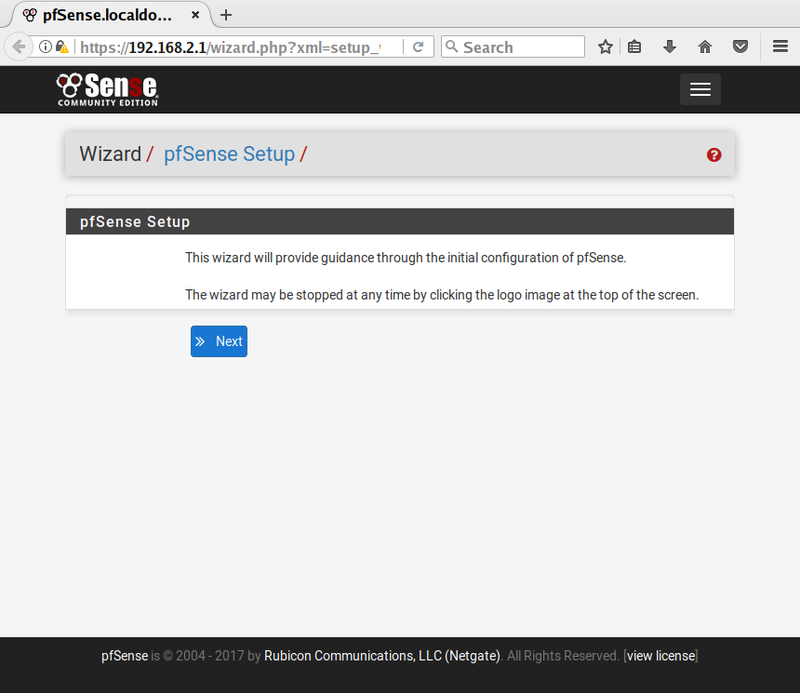 Once you’re logged in, pfSense suggests that you run the configuration wizard – and that makes sense. 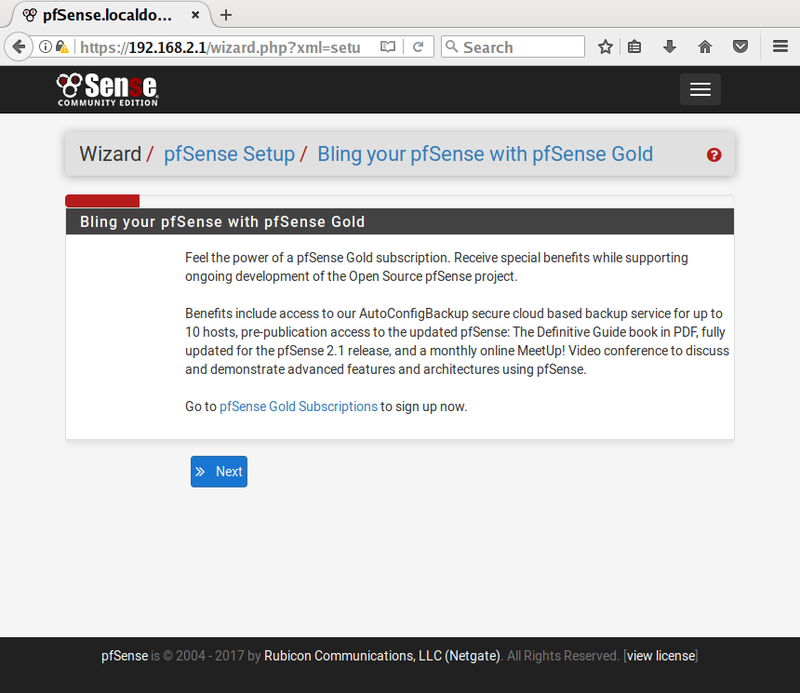 The first screen of the wizard is an advertisement for the commercial version of pfSense called pfSense gold. If you are a company looking for more than the free “Community Edition” of pfSense will give you, have a look at this service. Maybe it’s for you. 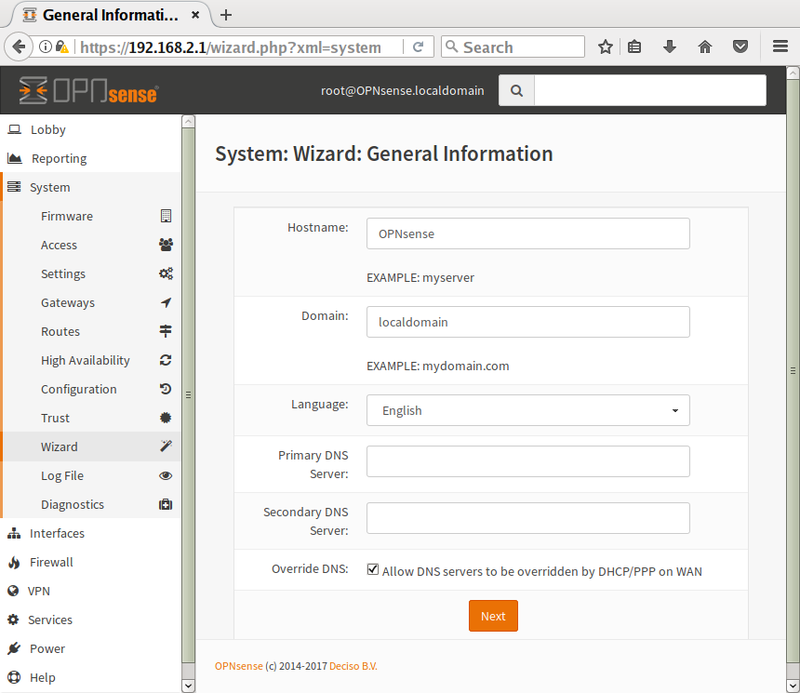 First you configure some general settings like the hostname, domain, etc. Next is the configuration of the time zone and NTP daemon. 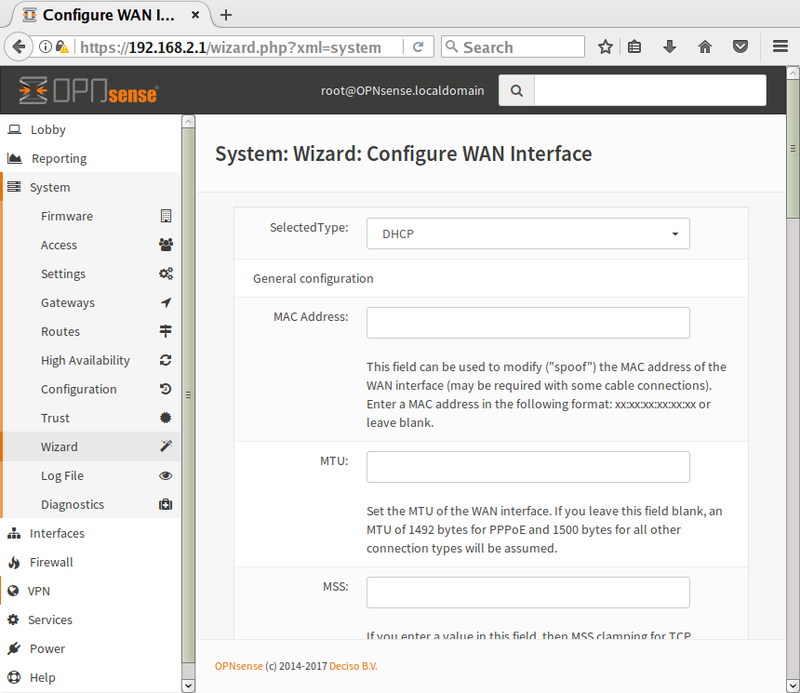 Then the WAN interface needs to be configured. There are a lot of settings there and very likely you don’t need all of them. After that comes the LAN interface. 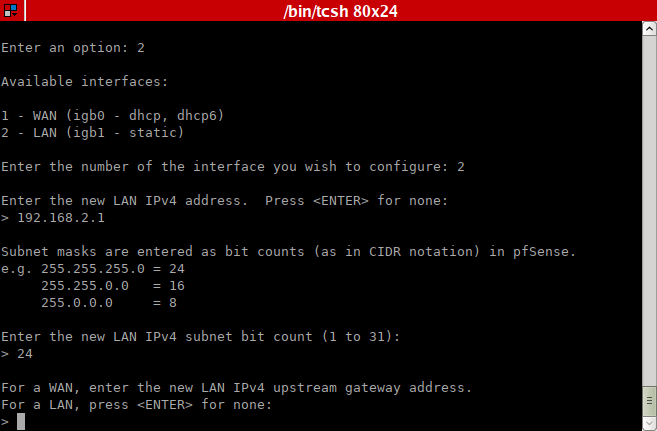 Here you can only configure the IP address and subnet mask (which we already did in text mode). Finally we’re prompted to change the password which is a good idea of course. Even if the WebGUI is only accessible from the LAN interface by default, it’s a matter of principle. That’s it, the wizard is finished. Time to reload the configuration. We’re done here, pfSense is installed and the basic configuration has been applied. There’s another little advertising here which is legit for a free product, I guess. We’re going to take a look at the main WebGUI and its many, many options in another post. 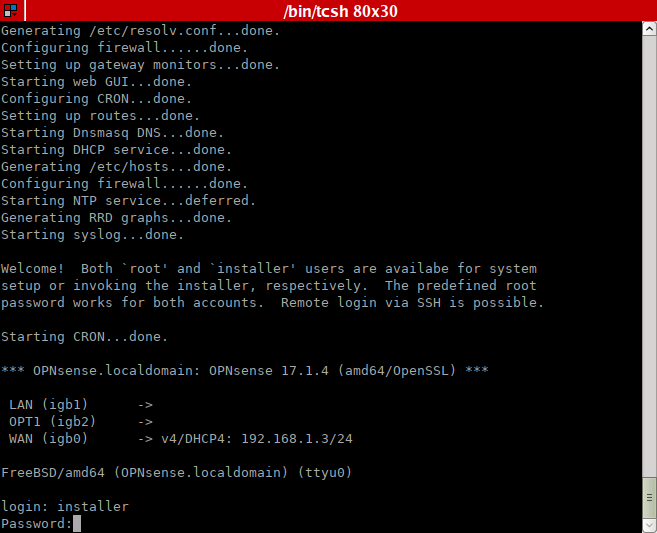 The next blog post will detail the installation of OPNsense, another excellent option for your router. Part 1 of this article series was about why you want to build your own router, and how to assemble the APU2 that I chose as the hardware to build this on. Part 2 gave some Unix history and explained what a serial console is. In this post we will prepare a USB memstick to update the BIOS and connect to the APU2 using the serial console. Then we’ll flash the latest firmware on there. In the ol’ days you would simply connect the COM port on one machine to the COM port on the other. Today a lot of newer laptops don’t even have a serial port (if yours still has one of those funny devices that you’d access through /dev/fd0, chances are pretty high though, that it also has a COM port!). Fortunately USB to serial adapter cables exist, solving that problem. The APU2 has a male DB9 (9 pins) serial port. RS-232 is the common standard for serial communication. According to it, some pins are used to transfer information while others are used to receive information. Now if you connect two machines with a straight serial cable, both will talk on the same pins and listen on the same pins. So both will send data over pins that nobody listens on and never receive anything on the other pins. This is not really useful. To make the connection work, you need a crossed-over cable (a so-called null modem cable or adapter). This means that the receiving pins on one end are paired with transmitting pins on the other end and vice versa. I thought that I would never need a nullmodem cable at home. I still don’t think that I might ever need a straight serial cable. And I could in fact take one home from work and return it the other day. However I could already see what would have happened in that case: When I get some time to tinker with my APU it will be on the weekend and I won’t have the cable in reach when I need it. So I got my own. And while I was at it, I decided to not only get a USB to RS-232 DB9 serial adapter cable (look for the PL2303 chipset translating USB to serial: It’s well supported across a wide range of operating systems including FreeBSD). I also bought a null modem adapter and a gender changer. So now I’m completely flexible with my gear. However you probably just want to get a null modem cable USB/female DB9 (or ask somebody who has one if you could borrow it). Another thing that you have to know is the baud rate (modulation rate) for your connection. A higher baud rate means a faster connection. As long as both connected machines agree on the baud rate, everything is fine. If they disagree, this can lead to displaying garbage instead of the actual console or in seemingly nothing happening at all. At the time of this writing, PC Engines have released 5 updates for the APU2’s firmware and if you like the improvements, it makes sense to put the newest version on there. They recommend booting TinyCore Linux and then using flashrom to flash the BIOS. Flashrom is available for FreeBSD, too. I would imagine that it works as well. However I have no experience with that and flashing stuff always bears the risk of bricking your device (for which case PC Engines offers a small rescue device). If I had thought about this right at the beginning, I would probably have tried it out. But my APU2 is already updated and since this post is public and not just for me… Well, let’s just do this by the book and use Linux for that. If you’re a little anxious and don’t feel well about flashing at all, leave it be; in general the old BIOS will do, too. Flashing according to a guide does not have a high risk of bricking your device but even a small risk is a risk. Disclaimer: You decide. And it’s all your responsibility, of course. Alright, we need to prepare a USB stick with TinyCore and the ROM on it. 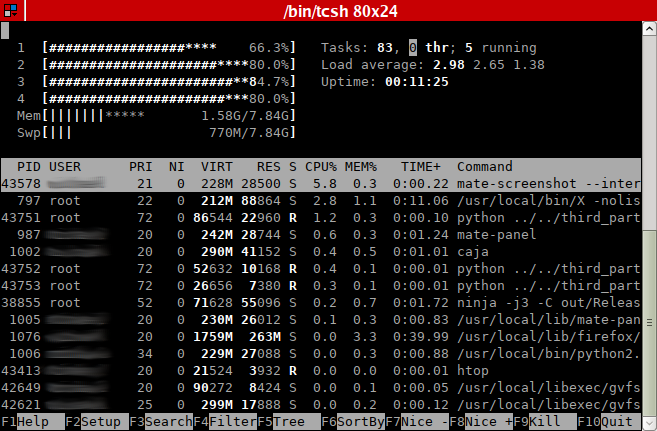 PC Engines even offer a howto guide showing how to create this using FreeBSD. That guide works, but it clearly shows that those guys know Linux a lot better than (modern) FreeBSD. For that reason I’m going to modify it slightly here and use today’s tools. The next thing to do is putting a FAT32 filesystem on the partition and force install the Syslinux bootloader there that will be chainloaded by the bootcode that we wrote into the MBR. We’re writing to a FAT filesystem – and as the primary filesystem from a once popular single user OS it does simply not support concepts like file ownership. That’s why we need “–no-same-owner” here (otherwise we’d see harmless but unnecessary warnings). As the next step we’ll add the ROM image and check its integrity – we don’t want to flash garbage on our APU and brick it, do we? The memstick is ready. If you want to test it, boot some other PC or laptop from it. 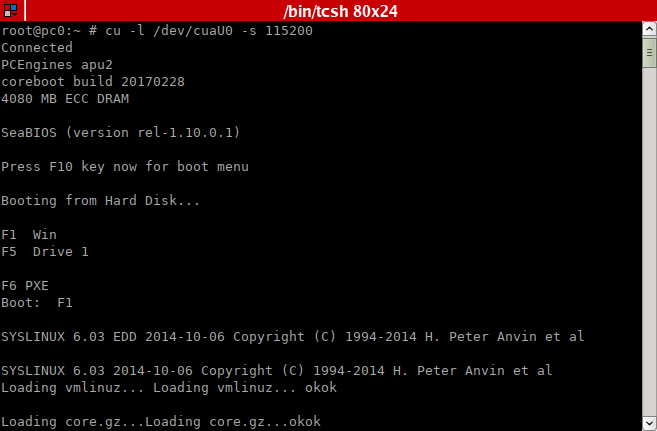 If you can read the line “Booting the kernel” and then nothing seems to happen anymore, it means that it’s working. TinyCore is configured to use the serial console, that’s why you don’t see anything on your screen and your keyboard doesn’t do anything after that. Just turn your computer off and plug the USB stick out. Alright, back to the APU2 (finally). Put the memstick into one of the USB ports and attach your serial cable to the COM port. Now connect the other end of the null modem cable with another computer running FreeBSD (or Linux or whatever – this should all work, you’ll just have to figure out how to connect to a serial console on your OS). If nothing happens, you might have the wrong cable (is it really crossed-over?). Or maybe you’ve mistyped the baud rate? The “Connected” by the way only means that your host system has attached to the serial cable. You’ll get that message even when the other end is not connected to anything or the machine at the other end is turned off. 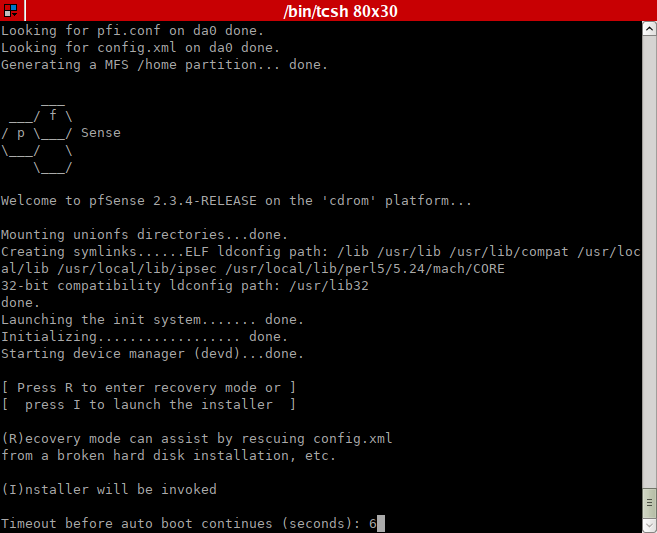 Once Linux was loaded, use flashrom to update the APU’s firmware like PC Engines show in their howto. Then reboot. If you’re using cu as in my example, you can close the serial connection using the character sequence ~. (tilde and dot). You now know how to access your box using the serial console. 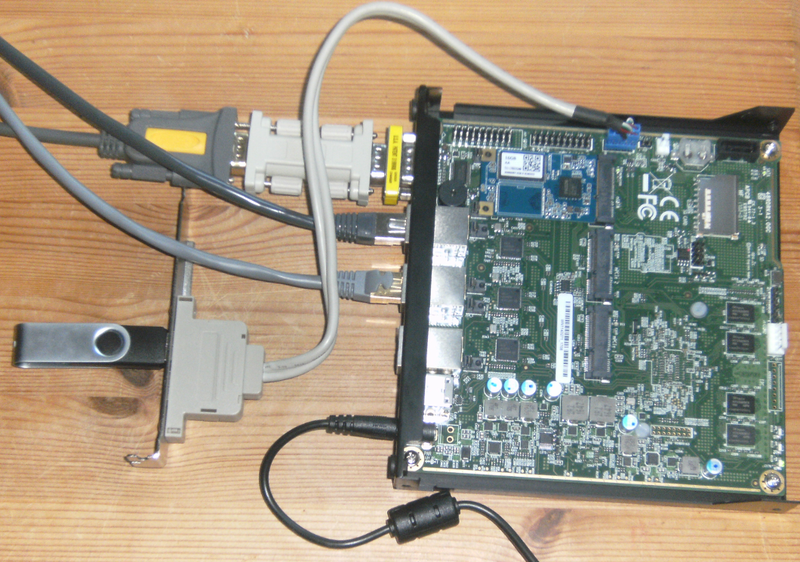 Next time we’ll make use of that skill again to put pfSense as the first of two options on the APU. 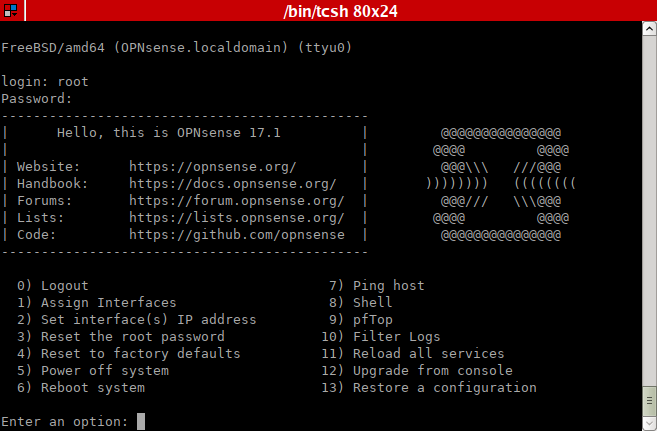 The other option is OPNsense which will be covered in a later post. Both are FreeBSD-based router/firewall operating systems. The previous post touched on the topic of why you might want to build your own router, discussed some hardware considerations and showed how to assemble an APU2 bundle. Now that the box is ready for use, we have to do something with it – but there’s a small problem. People who want to play with inexpensive hardware love their Raspberry Pis. Those make a great little toy: Just attach a keyboard and a monitor, insert an SD card and you’re done. Power on the device and you can start tinkering. With the APU2 it’s not that much harder actually, but it works quite differently. Why? Take a closer look at its back and you’ll see that the outer left port is not VGA as you might have thought when you saw it from a different angle. It’s a COM port. There are two USB ports which would allow to attach a keyboard (the board doesn’t have a keyboard controller, though, which means that wouldn’t be of much use). But how to attach a screen to it? The RPi offers HDMI output, the APU2 does not. No VGA, no DVI, no HDMI and no DisplayPort either! So how to access this thing? Typing blindly? Of course not. This post is about the serial console and since they call the COM port a serial port, too, it’s not too hard to figure out what we’re going to use. If you were born after 1980 (like me), chances are that you’ve never used a serial console before. Or rather you might not know exactly what it actually is. Heck, the younger ones might not even have heard about it! So if you’re either old enough or for whatever reason have experience with the serial console you could skip a lot of the following text. If you know what the real TTYs were, what a terminal and a system console is, this whole post probably isn’t going to teach you anything new. But since there are more and more younger people around for whom this is entirely new territory, I’m going to explain not only what we have to do in case of the APU2 but also a bit about how this all came to be. 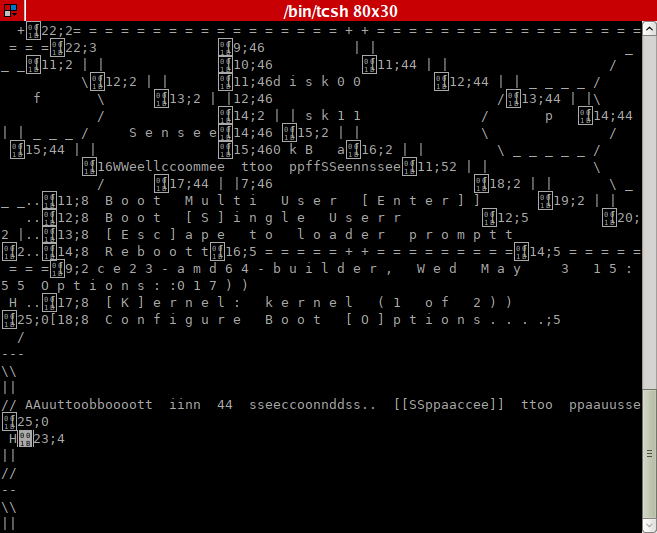 Here’s an up-to-date FreeBSD system and it has quite some device nodes that bear “tty” in their name. The abbreviation TTY means Teletypewriter (or “teletype” for short) and with that we’re speaking of a technology that has its roots far back in the first half of the 19th (!) century. As I stated in my first post about FreeBSD 4.11 and legacy systems: Once some technology is established and in use, it’s extremely hard to get rid of it again. And while it’s hard to believe that concepts from almost two hundred years ago still influence today’s Unix machines, there’s some truth to it. So what is a teletypewriter? Think a classical typewriter first. One of those mechanical machines that allow to type text instead of writing it: You press a key and that makes a small metal arm swing and its end hammer against the paper. That end bears an embossed letter. Between this head with the letter (or rather: character) and the paper there’s an ink ribbon and thus your key press results in a readable imprint on the paper. Man has long striven to be able to transfer information across a long distance. Morse code made it possible to encode text and then send a message e.g. via optical means like blinking light. The telegraph (from Greek tele + graphein = far + write) achieves the same goal, however by sending signals over a cable. A simple teletypewriter combines both: Imagine a typewriter with all the usual keys but no paper that is connected to a remote device which has the paper feed, ink ribbon and so on but no keys. This second device is called a teleprinter. The big limitation to this is that the information flow is one-way only. Sounds familiar? Sure thing: The keyboard that you use essentially does exactly that! Now consider a more advanced approach where two teletypewriters that both have input and output capabilities are connected to each other. In this bi-directional use you can type something that the person on the other end can read as well as write an answer which then you can read (and write again). It’s obvious how this supports distributing information across large distances. But what does all this have to do with the COM port? Please bear with me. The first type of computers were big and extremely expensive mainframe machines. It makes sense that not everybody would be allowed physical access to them. Thus you wouldn’t sit down before them and attach a screen and keyboard! Instead you’d use a teletype in another room to interact with it. You input any commands and get a response in form of the printed output. More sophisticated teletypes allowed saving input or output on punch cards or read them in again and send the data. Whatever combination of gear that allows sending and receiving data to/from a computer is called a terminal. Bi-directional typewriters are sometimes referenced as “hard-copy terminals” (because they printed the output on paper). While it’s hard to believe, this procedure has been state of the art at some point in time. Obviously this is not ideal, wasting a lot of paper. Fortunately there’s a solution for this: Enter the electronic terminal! Those replaced the printing on paper with displaying on a screen. This sucked. If you had this expensive new terminal that was unknown to your computer however, you couldn’t use its additional features. Good thing that we don’t use terminals today! That makes this an issue of the past. Right, that is a good thing. But no, it’s not a historic issue. Yes, we’ve replaced terminals quite a while ago. But what did we replace them with? Today we use terminal emulators. Your *nix operating system comes with programs that (by default) use the keyboard for input and the screen for output and thus simulate… a terminal. 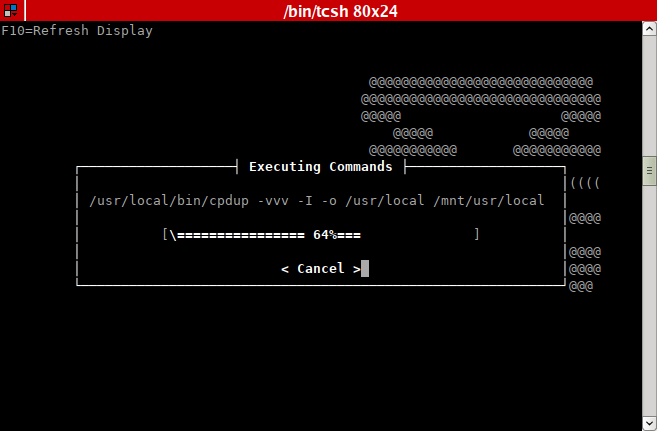 My shell is running inside the terminal multiplexer tmux which set the TERM variable to “screen”. 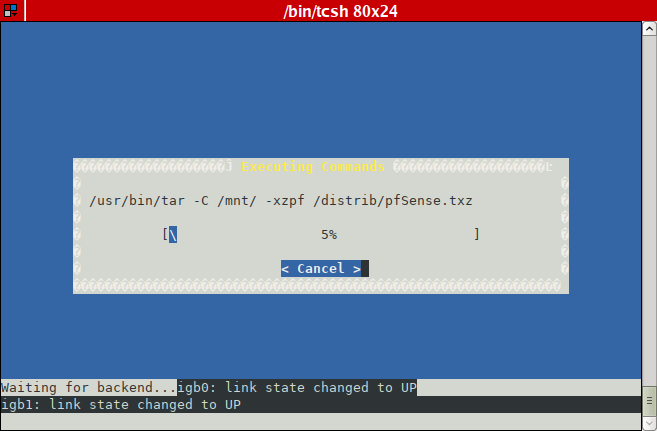 GNU screen was a somewhat similar program and since tmux is compatible with it, it announces that terminal-wise it works like screen. What does this look like if I quit tmux? 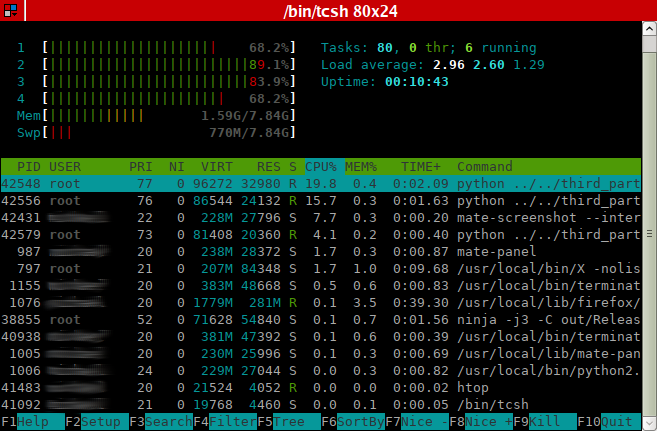 Tmux won’t even run (and htop would screw it all up badly since it obviously doesn’t handle that case properly)! If the terminal type (and thus its capabilities) are unknown, programs need to fallback to the absolute baseline of functionality that each and every terminal is known to support. And that’s disturbingly little… In this case tmux would be unusable because the terminal might not even be able to clear the screen! Yes, not even the seemingly most basic things were implemented in all terminals. Imagine you’re the author of a simple *nix program. You were supposed to know what terminals existed and what capabilities they had – and to adopt your program to whatever terminal it ran on! Fortunately Bill Joy wrote termcap, a library that helped dealing with various terminals. This extremely important functionality (which originated in BSD Unix, BTW!) evolved over time. Today we have ncurses which does just about everything to make life easy when programming console applications. Which leads to the question: What is the console? The system console (or just console) is a device used to imput and output text. A PC’s BIOS offers a console, the boot loader does and the OS kernel does, too: It uses it to print out messages and to take commands. It’s present even when you don’t see it. 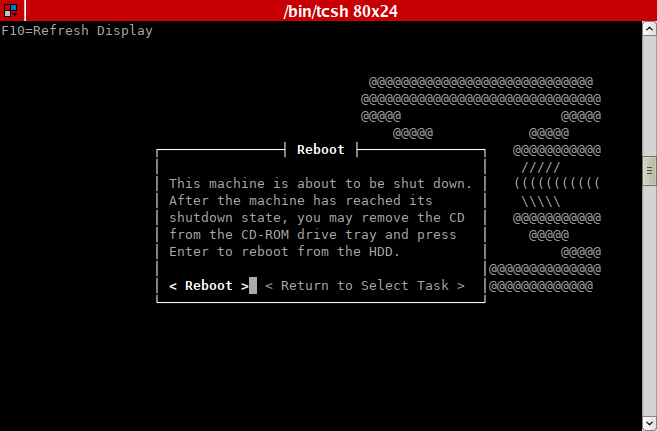 A system might for example work in so-called headless mode which means that there is nothing attached to the console. Plug in a keyboard and connect a monitor and you can make use of the console. 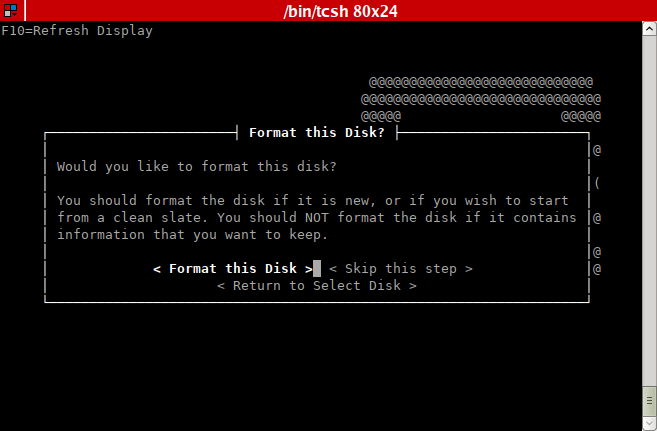 Unix-like operating systems often configure multiple virtual consoles (also called: virtual terminals). We saw those when we listed the tty* nodes in /dev at the beginning of this blog post. Together those form your computer’s system console to which usually keyboard and screen are attached. But you need not attach those two devices to the console. You can also attach a serial device to it which can then be used to transfer commands from and messages to another computer that is connected to the other end of the serial cable. Then you can use that other computer’s keyboard to type commands and its screen to read the output. A serial console is simply a console that can make use of a serial connection to redirect the console. If the BIOS of your machine supports it, you can use the serial console to control everything on that machine using another one over a serial connection. If you’re completely new to it, this probably was quite a bit of information. However we’ve only talked about the very basics here! If you like to know more about how TTYs, pseudo TTYs, processes, jobs and even signals work, I recommend Linus Åkesson’s article The TTY demystified which is an excellent read. He explains much more in-depth how Linux does all this. 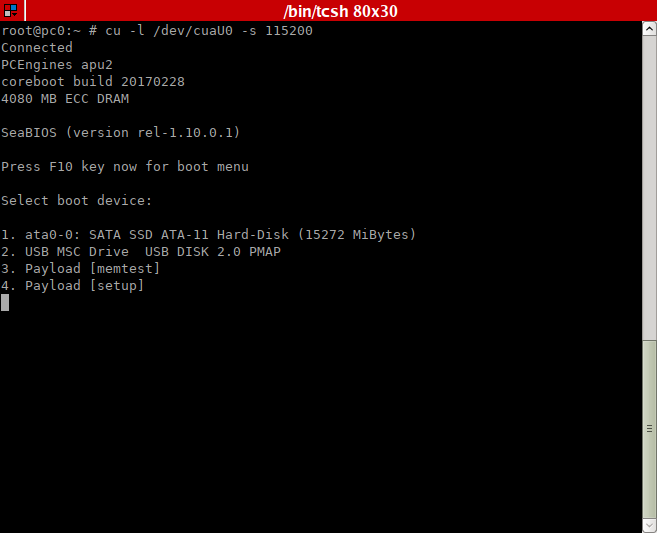 In the next post we’ll prepare a USB memstick and attach a serial console to the APU2 to update the firmware.